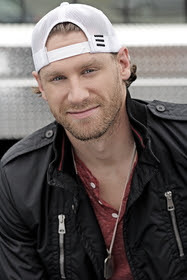 Chase Rice’s current single “Ready Set Roll” has been certified Gold by the RIAA for selling more than 500,000 units. The song is at No. 16 on the MusicRow CountryBreakout Chart, and had early airplay on SiriusXm’s “The Highway” where it topped their Hot 30 Countdown. The single, which Rice wrote with Chris DeStefano and Rhett Akins, is the first single from his forthcoming full-length album. Rice is currently touring with Dierks Bentley on the Riser Tour and continues to perform his own headlining dates across the country.